The red lotus Yi Yun obtained grew in a pure Yang lake. Every lotus seed itself was like a concentrated pure Yang flame. Each of them was like a fire seed that contained extremely pure but violent pure Yang energy. Yi Yun did not know what would happen if an injured Lin Xintong would eat the red lotus’ seeds. However, Yi Yun had no other choice, he would see Lin Xintong’s last bit of life force disappear if didn’t do anything. Yi Yun took a deep breath and opened the medicine box. A rich pure Yang gas surged out of the medicine box. The extreme frost icy plain’s frost Qi was momentarily expelled by the pure Yang energy, causing the cold in the area to be greatly dispersed. Yi Yun did not take the complete red lotus out. In the Everlasting Purple Gold medicine box, the red lotus could be preserved. Yi Yun was really unwilling to use such a plant, that had undergone millions of years of nourishment from the heavens and earth before producing such treasures, and make it into an elixir or swallow it. Yi Yun took a few lotus seeds out from below the satin. These lotus seeds had been soaked in pure Yang desolate beast’s blood by the three-legged strange bird, and they were akin to pure Yang elixirs themselves. The pure Yang energy was extremely rich, and one could see and feel the intense burning sensation brought forth by the seeds with the naked eye. Holding onto the lotus seeds, Yi Yun was in a dilemma. The chances of saving Lin Xintong’s life were too slim. He glanced at Lin Xintong. In that short period of time, Lin Xintong’s face had turned even paler. Her skin had turned even more transparent. There were ice crystals already formed on the skin on her long, beautiful neck. Her body temperature had reduced even more. At this moment, Yi Yun’s mental strength was extremely focused. His energy vision was firmly locked onto all the meridians in Lin Xintong’s body. He did not dare to let her swallow the lotus seed, so he placed the lotus seed in her mouth. He then used the Purple Crystal to manipulate the lotus seed’s energy and carefully let it flow into Lin Xintong’s body. It was also only because Yi Yun was familiar with pure Yang laws and had a divine item like the Purple Crystal that allowed him to forcefully suppress the violent pure Yang energy in the lotus seed. The energy followed Yi Yun wishes as it diffused into Lin Xintong’s meridians bit by bit. When the pure Yang energy flowed into Lin Xintong’s meridians, the frozen solid ice crystals quickly melted. But immediately following that, Lin Xintong’s meridians were burned by the pure Yang energy. The lotus seed’s pure Yang gas and Lin Xintong’s naturally terminated meridians began to go to war with Lin Xintong’s body as a battlefield! Lin Xintong’s meridians had been frozen and they had lost their strength, and now, with a violent force surging through them, many parts of her meridians began to crack. Seeing this scene, Yi Yun’s heart tightened as he held his breath. Although he had guessed such a possible outcome, Yi Yun still felt terrible when he saw Lin Xintong’s meridians crack in front of his very eyes after pure Yang energy flowed through her meridians. He grabbed Lin Xintong’s hands as pure Yang Yuan Qi streamed into Lin Xintong’s body, however, this was useless. The meridians in Lin Xintong’s cracked even more. Pain was visible on her pale face, and her ice-crystal laden eyebrows also scrunched up. When Yi Yun saw Lin Xintong in pain, he was extremely worried. If this carried on, it would spell certain death for Lin Xintong in the next few seconds! However, when he thought of watching Lin Xintong die in his arms, he felt extremely sad and terrible. As long as her life force was not extinguished, it meant that there was still a glimmer of hope. He needed to grab it. He needed to calm down while Lin Xintong was bordering on the line of life and death. He only had a few seconds to find a lifeline amongst all the routes that led to death! This idea suddenly flashed in Yi Yun’s mind. He immediately used the Purple Crystal to seal the energy of the lotus seed residing in Lin Xintong’s mouth. He then took another lotus seed out of the medicine box and ate it himself. With the lotus seed entering his mouth, it was like lava flowing into his stomach. With the Purple Crystal’s manipulation, the pure Yang energy within immediately exploded out! Even though Yi Yun already had a perfect pure Yang body, his meridians still felt an immense amount of pressure from the large amounts of pure Yang energy that surged out of the lotus seed in such a short period of time. However, at this moment, he could not care any less. He was only finding the explosive pure Yang energy to be too slow! Yi Yun’s body temperature quickly rose. The pure Yang energy moved along his meridians into his body’s 360 acupuncture points, and then it escaped out of his pores and acupuncture points. In the snowy plain, one could faintly see curling steam rise from Yi Yun’s body. When the snow approached him, it immediately melted. Yi Yun took a deep breath and opened his arms to tightly hug Lin Xintong! Lin Xintong’s body was as cold as ice, but Yi Yun’s body was hot like fire. He was using his body to transfer heat to Lin Xintong. Yi Yun warmed Lin Xintong in this manner. They endured this cold world, hoping to reverse her cruel fate. Pure Yang energy emitted out of Yi Yun’s acupuncture points and silently flowed into Lin Xintong’s acupuncture points. It then flowed through her meridians and spread throughout her body. It gave a trace of warmth to her frozen meridians. After Yi Yun’s absorption and transformation, the pure Yang energy became gentle and calm. Finally, Lin Xintong’s fragile meridians could barely withstand it. Lin Xintong’s body gradually softened in the steaming pure Yang energy. Her body temperature was also slowly returning to normal. To let Lin Xintong absorb the pure Yang energy better and to have their acupuncture points match, Yi Yun’s arms slowly pa.s.sed through her clothes as he hugged her smooth back. Yi Yun hugged Lin Xintong tightly in this manner. He felt that by hugging Lin Xintong’s back like that, it was like he was touching warm jade. This made Yi Yun’s heart flutter, and he could not help but feel a gentle charm. Lin Xintong’s chest was also tightly in contact with Yi Yun’s chest. Her soft, delicate virgin body gave Yi Yun a very special feeling. In the snowy plain, hot air rose as the pure Yang gas emitted by Yi Yun’s body increased, covering Yi Yun and Lin Xintong completely. Beneath them, snow constantly melted to the point of forming a small pool. The water in the pool was steamed by the pure Yang gas, making it very warm. It was like a hot spring. Yi Yun and Lin Xintong soaked themselves in this hot spring as their bodies were intertwined with each other. Yi Yun’s nose was filled with the fragrance of Lin Xintong’s body. This situation made Yi Yun’s blood flow even faster. With a beautiful girl in his arms, it was impossible if Yi Yun did not have other thoughts. He took several deep breaths to suppress any impulses in his heart. Although he was not a gentleman, he would definitely not take advantage of her in such a situation. Besides, Lin Xintong was still not out of danger. The pure Yang energy absorbed by Yi Yun was only transmitted through acupuncture points. Only a very tiny portion of flowed into Lin Xintong’s body. With another thought, Yi Yun took the medicine box out and swallowed another lotus seed. Following that, he even took the entire red lotus out and placed it in the heated pool. The strong vitality of the red lotus greatly exceeded Yi Yun’s expectations. Even in the icy plain, it still emitted rich pure Yang gases, which also helped recover Lin Xintong’s life force. With this, it made Yi Yun even more unwilling to refine the red lotus into an elixir. After all, he had perfected his pure Yang body, so there might be a suitable place in the future for him to plant the red lotus and constantly extract lotus seeds from it. After Yi Yun ate the second lotus seed, even more pure Yang gas was emitted. The red lotus was a heavenly treasure and it had helped Yi Yun obtain a pure Yang body. The pure Yang energy it contained was without a doubt extremely pure and strong. It was enough to suppress the frost Qi in Lin Xintong’s naturally terminated meridians. As more and more snow melted, the hot spring pool also grew bigger. Lin Xintong’s clothes were already completely soaked. With the pure Yang energy transferring between their bodies, Lin Xintong’s breathing became more and more uniform, as if she had fallen asleep. Seeing Lin Xintong sleeping beautifully, Yi Yun inexplicably calmed down. He silently hugged Lin Xintong and no longer had any other thoughts. 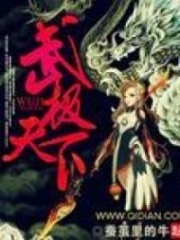 You're Read True Martial World Chapter 507 - The Merging of Hearts online at NovelOnlineFull.com. You can use the follow function to bookmark your favorite novel ( Only for registered users ). If you find any errors ( can't read,broken links, can't load photos, etc.. ), Please let us know so we can fix it as soon as possible. And when you start a conversation or debate about a certain topic with other people, please do not offend them just because you don't like their opinions. You're reading True Martial World. This manga has been translated by Updating. Author(s): Cocooned Cow,蚕茧里的牛. Already has 8943 views. Current Time is 21-Apr-2019 02:15:14 AM.